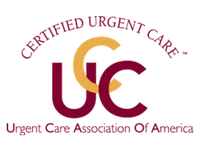 Despite what our name may suggest, STAT MED Urgent Care offers much more than walk-in treatment for bumps and bruises. Did you know that we’re also a trusted source of primary health care for the whole family? Our board-certified physicians and other experienced medical providers help adults and children in Concord, Lafayette, Livermore, Dublin, and other communities in San Francisco’s East Bay area stay healthy and feel their best every day by meeting their routine health care needs. STAT MED may not be the only provider of primary care in the area, but our locally owned practice offers a level of convenience that traditional primary care centers can’t match. Appointments are not necessary to visit us, although you may reserve your spot in line with our simple online check-in system. Plus, we make it easy for patients with busy schedules to receive the top-notch health care services they need as we are open every single day, including holidays. We also provide follow-up care as necessary, making us a one-stop shop for family primary and urgent care. Our growing network of clinics is equipped with key medical technologies to provide a full spectrum of care in a single location. For example, in the event that a patient’s physical exam indicates the need for digital X-ray imaging or clinical lab work, we can swiftly perform all of these services onsite. 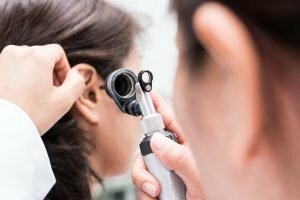 We also take the time to fully evaluate each patient’s medical needs, discuss their health goals, and suggest an ideal schedule of preventive care based on their unique situation. Contact our friendly team at STAT MED Urgent Care to learn more about our primary care services for the whole family. We’ll be glad to answer any questions you may have.